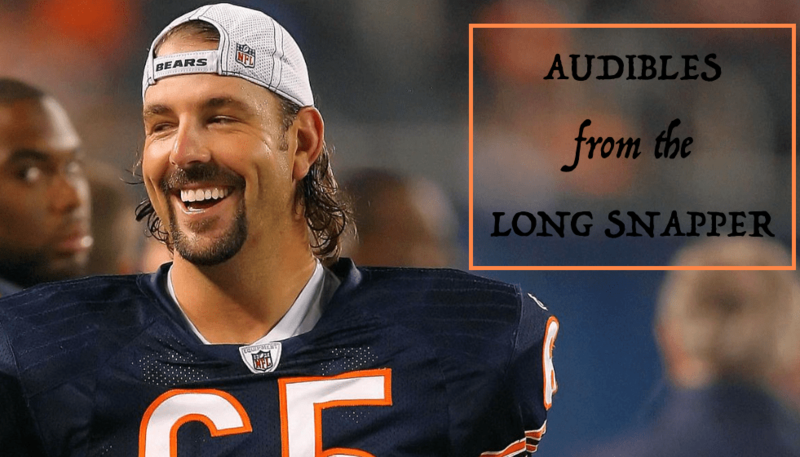 Da Bears Blog | Audibles: Heavy Sun-Times Edition! The Bears see Kylie Fitts as a sixth-round selection with a high ceiling — a player who might earn an early role if he continues to impress. “We had a lot higher grade on him than where he was drafted,” outside linebackers coach Brandon Staley said. The Bears are searching for pass-rush help within the roster, but Staley said Fitts also can help in pass coverage and set the edge against the run. “He does a little bit of everything well,” Staley said. It helps that Fitts has the right physical makeup. Fangio said Fitts showed “some ability along the way” during the offseason program, but padded practices in camp will carry more weight. The Bears are counting on either Isaiah Irving or Fitts to contribute. He’s a late-round draft pick so nothing should be expected of Fitts. But if he contributes in a meaningful way, the Bears have an opportunity to be scary on defense. Matt Fleming was ready to get on with his life when he got The Text. “I was actually walking to my car, about to leave [Halas Hall] after the last practice,” the former Simeon football and track star said. “They kind of said, ‘See you later, everybody.’ I was saying goodbye to all the coaches, thanking them for allowing me to come. Indeed, something was. Fleming’s dream — at least Phase One of the dream — was about to become a reality. The 6-0, 180-pound wide receiver from Benedictine University of Lisle via the South Side turned a rookie minicamp tryout into a spot on the 90-man roster. Continuing the Trey Burton theme, Jahns has a nice profile in the Sun-Times on what the team is expecting from their expensive tight end this season. Is it unfair to think he can be the team’s Travis Kelce? No. Not at that price tag. I can’t keep track of who is employing Moon Mullin and thankfully, due to Twitter, I don’t have to. Here’s his piece on the impact Mitch Trubisky is having on all decisions coming from Halas Hall. It’s good. PFF thinks Kevin White is ahead of Taylor Gabriel on the receiving depth chart. That’s because PFF is useless for most things. Good Tribune piece from Colleen Kane here on why the Bears don’t think Gabriel has hit his ceiling yet.